Photo: Lawr Farm House, ca. 1890s, Sleeping Bear Dunes National Lakeshore, Port Oneida, MI. 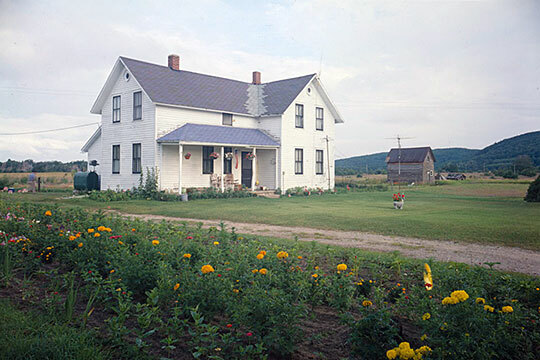 Photographed by John McWilliams, 1990, Historic American Buildings Survey [HABS MI-365], memory.loc.gov, accessed September, 2014. Leelanau County administrative offices are located at 8527 East Government Center Drive, Suttons Bay, MI 49682; phone: 866-256-9711. Leelanau County was established in 1863. The Leland Peninsula was first explored and settled by Europeans beginning around 1847. The county seat was moved from Leland to Suttons bay in 2004.